Donna Chamberlain knows first-hand the hardships a cancer diagnosis can bring people. After she was diagnosed with breast cancer in December 2015, Donna, who was self-employed at the time, lost her business and home. “I lost material things, but I had a great support system with family and friends,” says the 52-year-old Niagara Falls resident. After hearing these stories, she wanted to find a way to help others. In February 2017, Donna was told the cancer had spread to her lungs and bones. She would require more chemotherapy. While she was focused on her healthcare journey, Donna still thought of others. 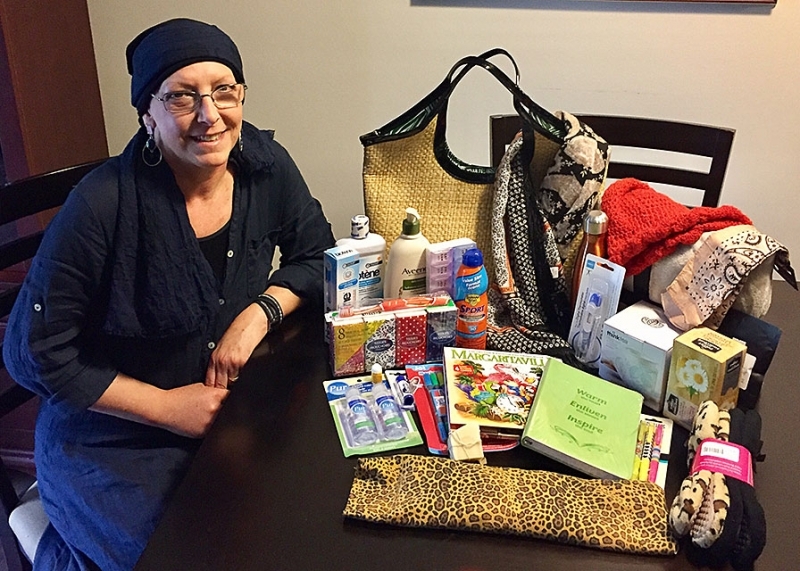 Since April, Donna has been bringing gift bags full of essential items for cancer patients. The items are generously donated by family and friends through a Facebook group she started called Sisters Support Centre. The support, she said, has been overwhelming. In addition, Donna's husband, Rick, plays in a band called Willowood, which has made contributions to the cause through their gigs. Since April, Donna has donated more than 100 bags filled with thermometers, blankets, oral care products, water bottles, hot and cold pads, colouring books and other helpful items. Brenda Luscombe, Director of Niagara Health’s Oncology Program, says Donna’s act of kindness is inspiring. Brenda says the gift bags mean a lot to the patients who receive them. Donna says she is thankful for the support of people who make donations and grateful for the feedback from cancer patients who have received the bags.